2x3: A Generative Artwork Residency Project will use the A.P.E. Gallery as an artists’ studio, production facility, and exhibition space. 2x3 will provide two-day, mini-residencies in the gallery to two artists, Leah Mackin and Sally Clegg, and one collective, Loculus. The artists will use their time in the gallery to create new work using a photocopier and simple bookmaking tools. 2x3 creates a transparent space for art-making and experimentation, where the means of production are both exposed and accessible. The curators, Trevor Powers and Esther S White, have not imposed any requirements on what the artists produce during their residencies. Instead they offer a prompt, inviting the participants to develop generative artwork using a photocopier. Generative art refers to any art practice where the artist uses a system, a computer program, or a machine (in this case, a photocopier) which is then set into motion with some degree of autonomy resulting in a complex work of art. 2x3 aims to highlight the flexibility and influence of a ubiquitous communication tool – the photocopier – and in the process investigate and explore generative art, book arts, and publishing. Esther S White and Trevor Powers work together as Fugitive Arts, a collaborative, transient curatorial project dedicated to promoting experimental art and emerging artists in Western Massachusetts. The goal of Fugitive Arts is to create innovative, accessible, and engaging arts programming through exhibitions, publications, and public events. 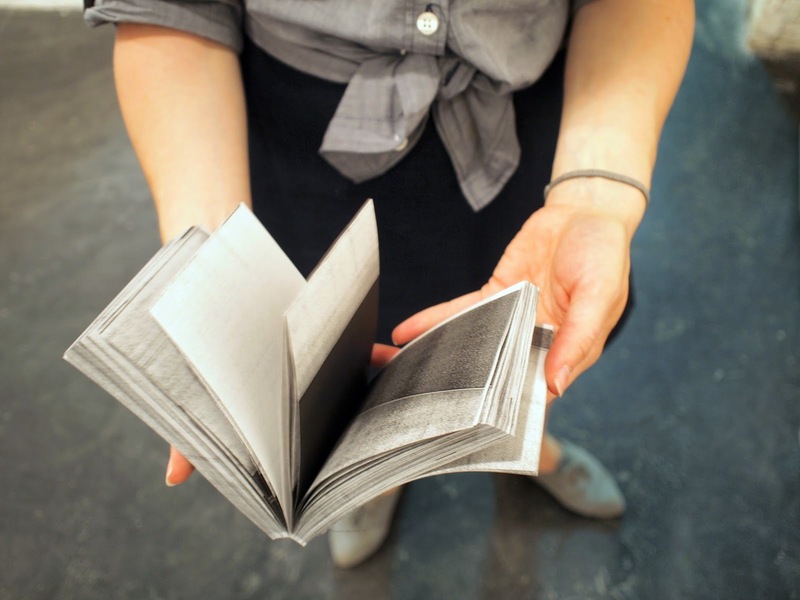 Leah Mackin will perform Untitled (Book Objects), an ongoing performance/installation piece in which the artist sets up a photocopy machine to copy blank paper onto itself, creating geometric abstracted images on the fronts and backs of the sheets. Arranging the prints into stacks, she then perfect-binds the photocopies and finishes them using a guillotine paper cutter to create dimensional geometric forms, Book Objects. The repetitive production method mimicked the mechanized actions of the photocopier, which rhythmically churns out prints for the duration of her residency. The resulting objects carry this duality as austerely-presented, formal objects with the subtlety of hand-binding and intimate scale. Sally Clegg will make new book work using drawings, prints, and collage. 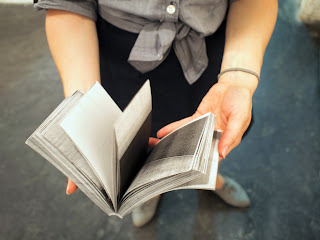 She is taking part in an 8-week spring artists residency on book arts at Penland School of Crafts in North Carolina. Loculus will work on a new volume of their quarterly journal and a new performance piece. The performance, directed by Madison Palffy and Olana Flynn, will be in response to the space, the equipment, and the book work made by Leah and Sally. Olana will also re-create collapsed reverberation, an original piece that takes place in a 6x6x6 cube in under 6 minutes. 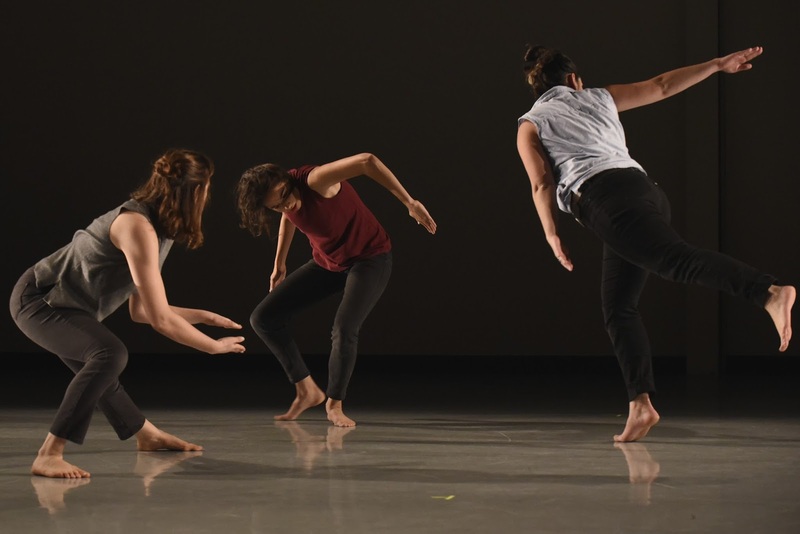 Collapsed reverberation was originally performed in December 2014, part of the inaugural Tiny Dance Festival in Brooklyn.